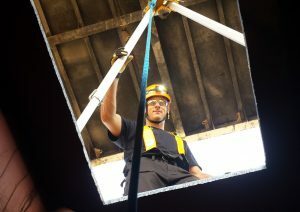 Our Confined Space Entry training course has been developed for those with an occupational requirement to be trained to safely perform work in confined spaces. The Mines Act and the accompanying Health, Safety and Reclamation Code for mines in BC protect workers health and safety and references legislation related to confined space activities. OH&S legislations, Mines Act and the accompanying Health, Safety and Reclamation Code for mines in British Columbia. We will achieve this through discussion of confined space fundamentals and by participating in skills exercises. You will understand the information every employee needs to know in order to avoid accidental exposure. The Mine Act requires that a written operating procedure for confined space entry be implemented. Should something go terribly wrong, you will know how to effect a non-entry rescue.